babies Archives - You're Doing Great, Baby! Beth was interviewed by Shevonne Hunt for the awesome Kinderling radio show Kinderling Conversation, all about kids, health and relationships. No Mummy-blog would be complete without a post about how to deal with the existential conundrum that is the tension between simultaneously loving your children/baby but also feeling you want to press the ejector seat and zoom up and out of your life sometimes. As the wise and wonderful Cheryl Strayed says, “Two things can both be true”. Why are people compelled to tell new parents ad infinitum “They grow up too fast” and it’s variations: “Enjoy every second”, “It’s the happiest time of your life”. In my own experience I find that it’s especially people whose children have grown up that say these things. One possible reason they say it is that it’s all true. Or at least it was true for them. Another potential reason is that, looking back, they wish they had enjoyed more of their children’s early life. Or that they weren’t as maxed-out as our generation are with information, technology, work, communication, inner and outer expectations and debt. makes me simultaneously roll my eyes, wince, feel a lump in my throat and a swell of love, sorrow, reminiscence and regret. Being just six years into being a parent, I can see why everyone loves to tell new parents this, because they do grow up so fast. But I hated hearing it when I was in the thick of first-time parenting and feeling overwhelmed, traumatised, depressed, inadequate, lonely. My days felt unbearably long, every phase throwing up new challenges before I’d caught my breath from the last. Second time around I have been able to savour a lot more, but my added experience and confidence doesn’t change the fact that having little children is in-tense. 19 months: Beginnings of talking, learning to run, loves his soft toys Grover and Baby, bright-eyed and always ready to interact and say hello or good bye, his baby curls. 6 years old: Thoughtful, funny, curious about the world, fun to read with, great to play games with, loves his little brother, always ready to have a laugh. But I can also summon up a list of the things that I find difficult: all the stuff I have to take everywhere, can’t nip to the shops, hard to go out at night, house a permanent mess, washing piled high, night waking, endless negotiations about screen-time, finding healthy food they’ll eat… Writing that list and looking at it alongside the list of the things I love about these ages, the list of complaints look trivial. But they create real frustrations at times, and it’s those times that if you told me to enjoy every moment, I might want to wallop you over the head with poor old Grover. One of the reasons we so badly need a village to raise a child is that the pure intensity of rearing children is instantly more enjoyable once it feels like more of a shared responsibility, or at least something done in the company of other adults. I find that time flies by happily when we’re outside. Even faster when there are other adults and children there too. The kids play and the parents chat, while playing with/feeding the smaller ones. Maybe someone should only be allowed to say “Enjoy every second/They grow up too fast” etc. to a new parent if they’ve also done something to show support for them and all the hard work they’re doing. An understanding look when their toddler is throwing a tantrum, for example. Or offering to help them load load groceries onto the check-out as they struggle to do it whilst also holding their baby. Or sharing that they themselves didn’t manage to enjoy every second but that in retrospect they see the sacred beauty of that early, intense time. For more on this subject, read the seminal ‘Don’t Carpe Diem‘ by Glennon Doyle Melton, Andi Fox’s ‘Complaining About Motherhood‘, ‘Savour it Anyway‘ by Alicia from the Magical Childhood blog and Mia Freedman’s piece ‘My son is leaving school and I’m in pieces‘. Penny Johnson from ABC’s great Babytalk podcast interviewed Beth about You’re Doing Great, Baby. You’re Doing Great Baby! 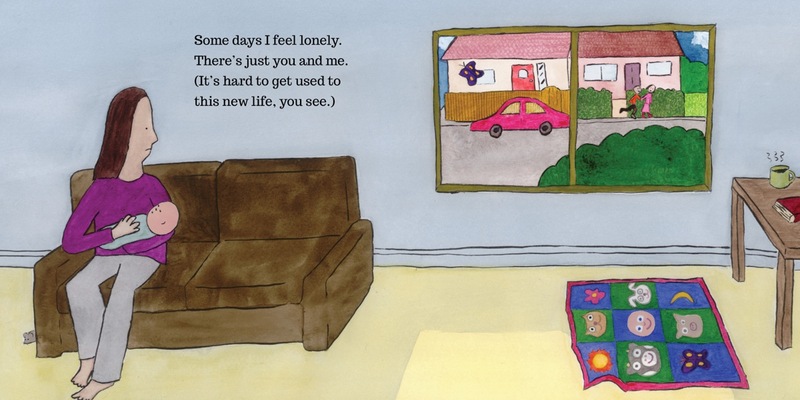 Is a picture book for babies but it has a subtle message .. parent’s you’re doing just great too! The book was born (like a lot of parenting projects) when a young couple realised that having a baby was a lot harder than they expected… and they really wanted a way of expressing this to friends and families while giving them support and encouragement as they went. 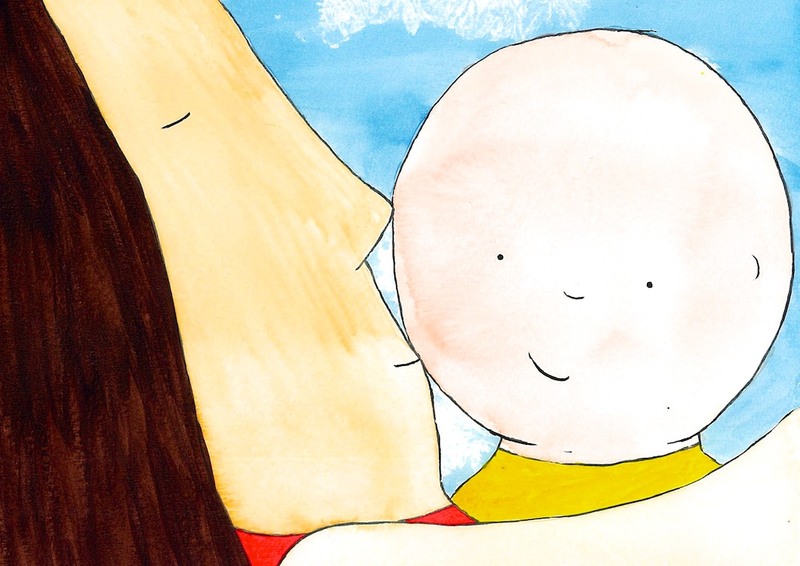 So ‘You’re Doing Great Baby!’ was born, a picture book that when read out loud gives parents a beautiful affirmation that they are doing just fine too! There are moments that are perfect. Where I’m totally absorbed in what I’m doing. They don’t come that often for me, but when they do they are magical. 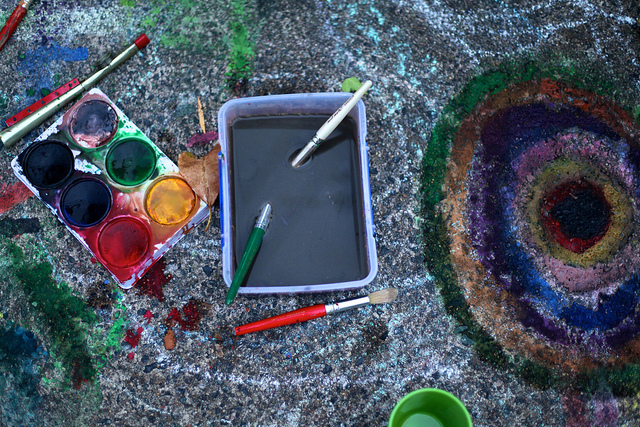 (Disclaimer: most of the time when I’m playing with my kids I am not ‘in flow’ – I am thinking of chores that need doing, or writing a shopping list in my head, or tidying up, or cooking (or lately, composing a blog post). Not giving anything my full attention. But the times when I do manage to just enjoy whatever it is we’re doing are pure joy). Having a baby or a young kid makes it harder to steal moments for all of the above (except for playing with them), and yet spending time with them is a perfect opportunity to surrender and just enjoy some simple pleasures. Clem will happily sit and play with wood-chips or dirt or a patch of grass for 30 minutes. 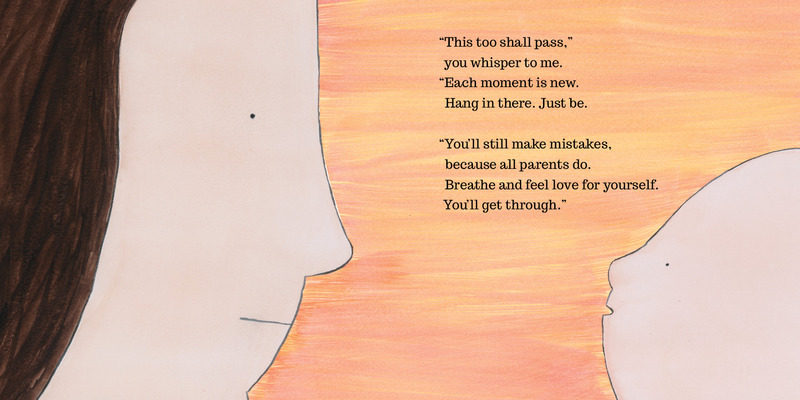 This spread from our book is about how much our children have to teach us about being ‘in the moment’. The best way for me to be more present with my boys (and enjoy myself too), is to be outside. At the park, in the garden or sitting out the front of our house, I’m not looking sideways at the mess I want to tidy, or the dinner that’s half done, or the chair that needs mending. When I’m enjoying that perfect moment: a conversation with Leo or a bath with Clem or our whole family laughing or enjoying music together, I wonder why life can’t always be like this. And then Leo or Clem will ask for a drink of water and I end up pottering in the kitchen tidying up or loading the dishwasher. The moment lost. Those early parenting years are just busy. Multiple times a day I’m struck by the fact that time is moving forward, and the kids are growing up. It’s bitter-sweet. Clem is a-l-m-o-s-t a toddler and he’s (most probably) our last baby. Each time he grows out of a piece of clothing there’s no point in holding on to it for our next baby. Because there won’t be one. The lanolin that’s still sitting on my dressing table from the early days of breastfeeding probably won’t get used again. The toys that we pick up off the floor every day won’t be around forever. The knowledge that I’ll be able to shoot off to a yoga class, read a book in the afternoon, or go out to dinner with Jeff in the not-too-distant future is exciting. If I’m feeling sad about the prospect of those little-kid years disappearing, then that’s a good reminder to sit down on the floor and just be with the kids or give them a hug. 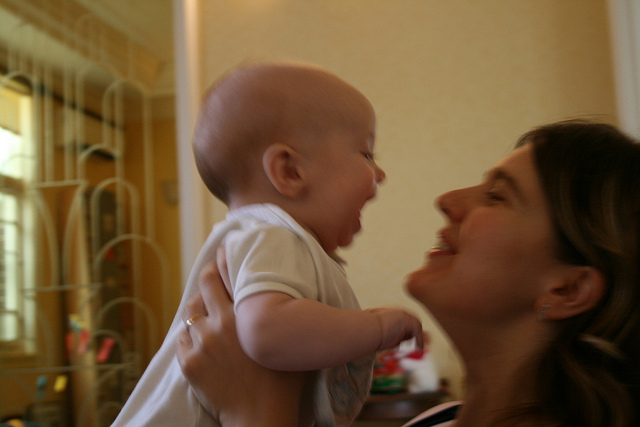 When Leo was a baby, and I was climbing up out of the hole that postnatal depression had carved into my life, I vividly remember making a pact with myself to remember that there were lots of good times too. That I enjoyed this moment. That I drank him in. That I loved him more than I thought possible. I knew I wanted another child and I didn’t want to wish away his babyhood because of my own issues. That pact to recognise all the joyful moments was always an incredible comfort to me. I still think about it today as a reminder that I may as well be in each moment (whatever that entailed), rather than wishing it away. With a young baby the moments are underlined with sleep deprivation, boredom and having to choose between going to the toilet or waking the baby you’re holding. With an older child, the moments are underlined with different worries and discomforts: time pressure, money or career concerns… there’s always something. Looking back at photos of the last six years I am overwhelmed with nostalgia. I see the fun we’ve had without seeing whatever little worry was on my mind at the time or whatever cold we were getting over… Photos are useful to help us enjoy the moment, but the act of taking them also removes us a little bit. It’s a double bind. 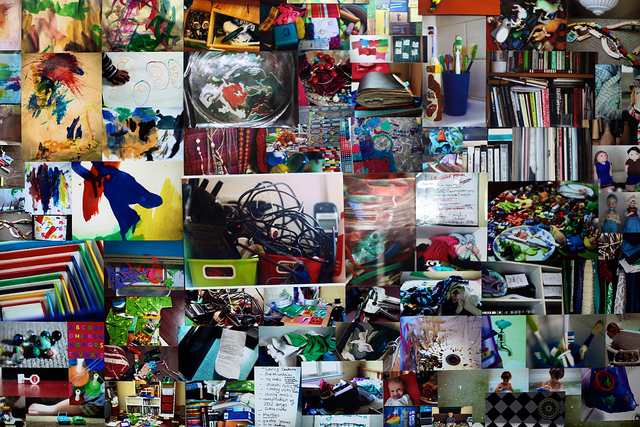 In 2013 I made an installation of 1,000 collaged photos – each one of them hoping to capture a moment in time. Seeing the beauty in little everyday domestic moments is pretty much what all of the art I’ve ever produced boils down to. I’m never going to figure it out or solve it or perfect it, but it’s my life’s work. We are very lucky to have another guest post. This time by the lovely Shannon Taylor. Shannon is a crafting, beginner vegie-patching, freelance writing mum of two, living with a muso hubby and a pug on Sydney’s northern beaches. I don’t know about you, but I don’t think anything can really prepare someone for first-time parenthood. You know you’ll be tired. You know it’ll be hard. You know you’ll be sore. You know you will feel like you don’t know what you’re doing. You know you’ll be crazy in love with your baby and will do anything for it. But no matter how much you expected to be tired, sore and clueless, and despite being totally crazy-in-love with your new baby, nothing quite matches the utter culture-shock of having a child of your own. Now, I always was the maternal type. The one who, as a kid, mediated arguments, soothed boo-boos and make decisions when consulting a grown-up would have resulted in big-time big trouble. As a teenager, I was the one who dealt with pissed-paralytic friends, broken hearts and friendship infractions. “You’re going to be such a good mum one day,” I’d always been told. So when I became pregnant, I had no worries. I could do this! Motherhood would just come naturally to me. Mothering was what I did. Parenting would be hard, for sure, probably the hardest thing I’d ever done. It would be relentless and I would be tired and my patience would be tested. My body would be weird. But I would take it all in my stride, quietly and determinedly, like I had done pretty much everything in my life so far. Or so I expected. Jeff needed quite a bit of persuasion before he was willing to draw the pictures for our book. 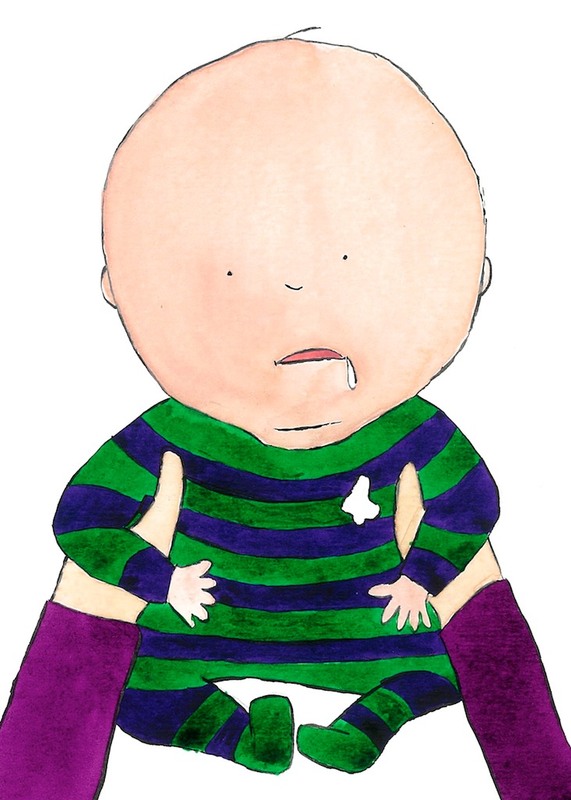 I like to call him “the reluctant illustrator”. It sounds all elusive and brooding – which if you’ve ever met Jeff is totally not how he is. I love Jeff’s illustrations so much, and it was incredible to watch his drawings get better and better as he practiced. I’m going to do a post about the evolution of the artworks soon. 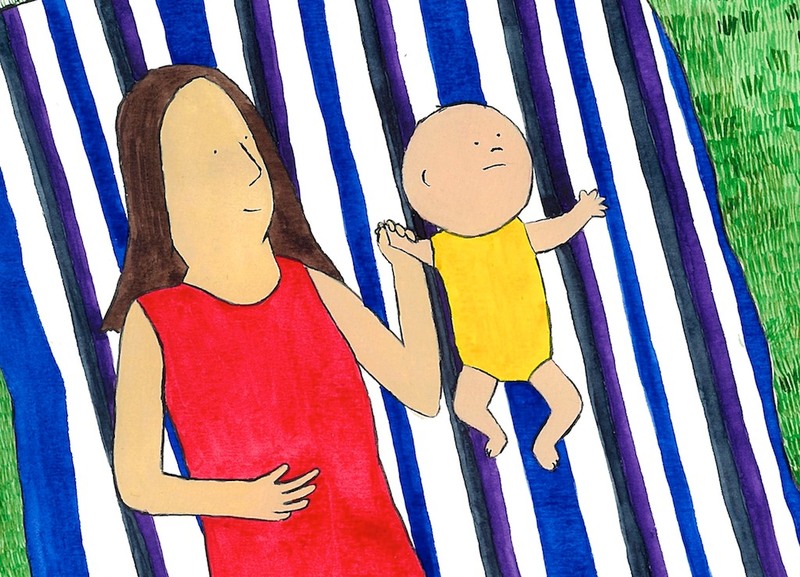 While we were still coming up with the story, we toyed around with the idea of having illustrations of lots of different parents and babies (a la favourites The Baby’s Catalogue or Look At You! A Baby Body Book). 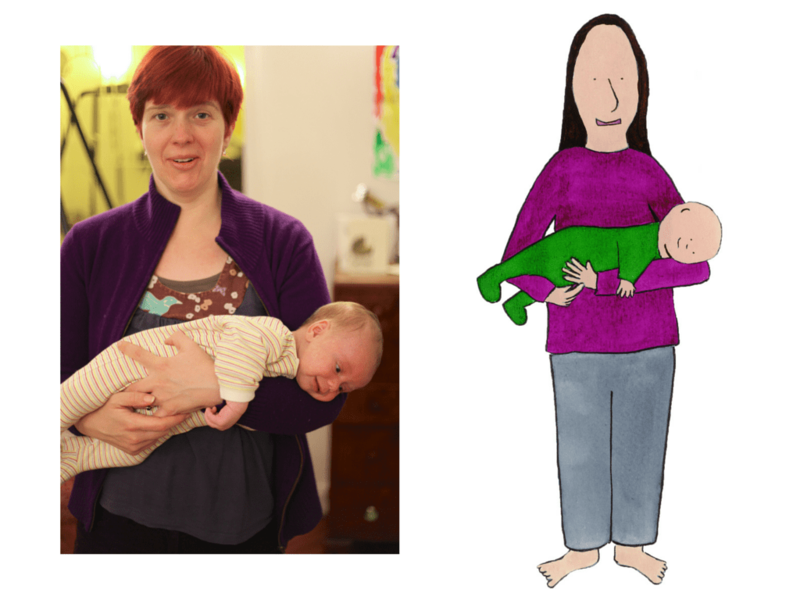 But in the end we decided that the best way to tell the story was to depict one parent (a Mum – the most common primary care-giver) and baby. Both boys loved this hold when they were feeling over it in the evenings. 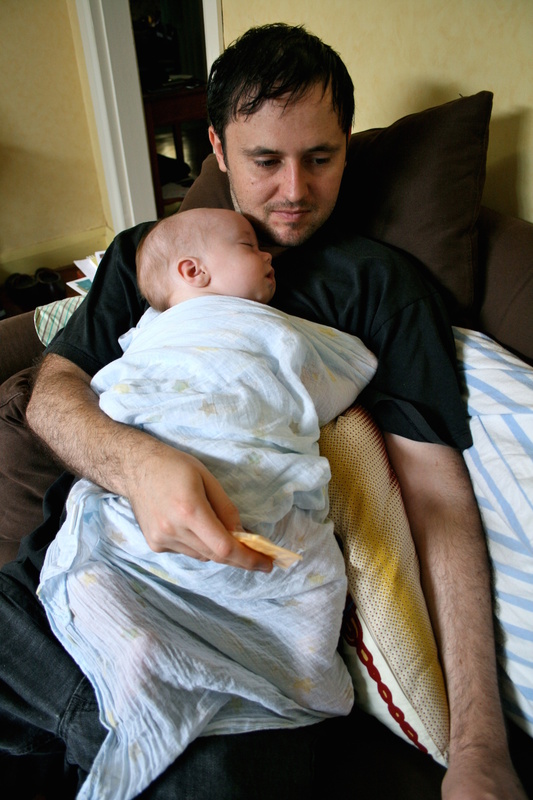 I will spare you the photo of me going to the toilet with a baby on my lap. Although variations on that scenario happen almost daily, we had to stage it because funnily enough that wasn’t part of our family album. I spent a lot of Leo’s early life on the couch. He spent most of his day either breastfeeding, bottle-feeding or asleep on me. Jeff would leave for work and I’d be on the couch, and then he’d come home and I’d still be on the couch. Jeff was much better at being stuck on the couch than me. He always seemed to manage to have a snack in his hand and his laptop nearby. I always managed to be busting to go to the toilet or thirsty or hungry (or all three) but I didn’t want to move in case I woke Leo. Looking back at photos from that time I have made an inventory of all the stuff I can see in the photos. It was like my office and I had a good set-up going on. 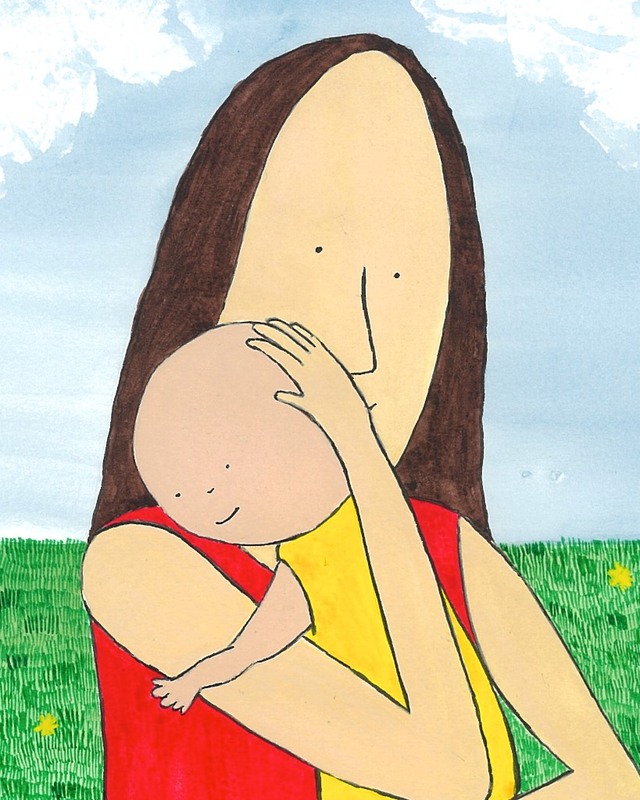 For those of you who are new to our blog, the reason we are writing about all this stuff is that we have written a picture book for new parents to remind them how great they are doing. It is the book that we wish had when Leo was little. You can read more about our rough-around-the-edges look at early parenting here. We have been working on it for years (in our heads), and actually did the writing and illustrating over the past year. The book is finished! We will be launching a crowdfunding campaign on the 2nd of August so we can print a small run of board books. We would love your support – more on that soon. This is is one of the spreads from the book. Our brown couch from this era has a supporting role. Where else would I rather be? When I first had Leo, I had a major case of FOMO. Not leaving the house to go to work five days a week, and realising that I hadn’t been out at night for months, was a major adjustment. I think Leo was about five months old when I first went out for a quick dinner with a friend (just down the road so I could rush home if I needed to). All of the measures of success I had subscribed to up until now (academic, career, creative output, good relationships, number of friends, how busy I was) – they all meant NOTHING. SO WHO THE HELL WAS I NOW? I didn’t recognise myself. It took me a while, but ultimately I came to like the new ‘me’. Prioritised sleep over pretty much everything else. Thought about someone else before myself. Could say ‘no’ more easily. Was more comfortable in my own company. 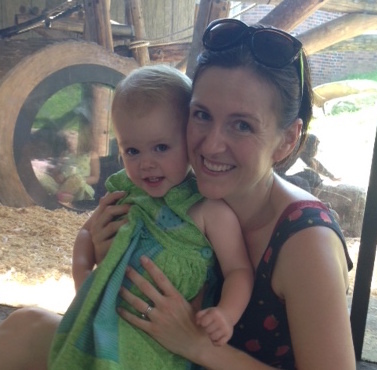 Three years after I became a mum, my friend Tabitha had her first baby. We have an ongoing conversation about all things to do with motherhood and one day we had a conversation about all the things you give up when you have a child. All the things that go on hold – some of them never to be picked up again. Some days I need reminding, but much of the time I am in touch with the fact that there will be plenty of time for dinner parties and long baths by myself and going to the toilet without someone sitting on my lap. (I wrote more about my attempt to live in the present moment in my post about Sarah Napthali’s book Buddhism for Mothers). “When I first got married and had kids, I had some friends I played poker with on Mondays and I thought: The poker game on Mondays, that’s the water line. If I don’t make that game, I’m losing something. I’m losing something if I don’t make it to that game. It means I’m letting go of my youth, I’m letting go of my manhood, all these things — my independence. I’ve been looking through photos of when Leo was tiny, trying to find photos I can use for the blog, and I have uncovered a goldmine of awkward photos. These are the kind of photos that would never end up in a frame. 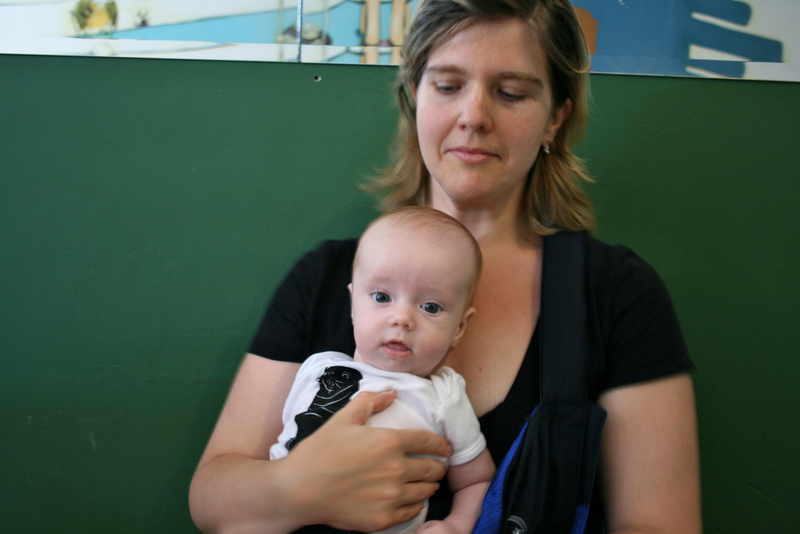 Jeff and I look tired and dishevelled and Leo is either pulling crazy newborn faces or asleep. You can see my feeding bra and I am wearing a series of the ugliest, most unflattering singlets. I am flabby and I don’t think I’d had a shower in a while. Bless our hearts – we were doing great. In the interests of normalising and celebrating new baby photos where everyone looks a little rough around the edges, here are a few choice selections from our family album. At the time I wouldn’t have shared these photos, but now I am so glad that they exist. … and here are some photos from after Clem was born. Leo and I were permanently in our pyjamas and my teeth were all stained from the breastfeeding herbs I was taking. Clem had lots of pimples and a little-old-man receding hairline. Look at our smiles though, and all that tenderness. Here are two photos that are super-special to me. One from when Leo was a week old and one when Clem was a week old. In both of them I’m tired and overwhelmed and vulnerable … and full-to-bursting with love. 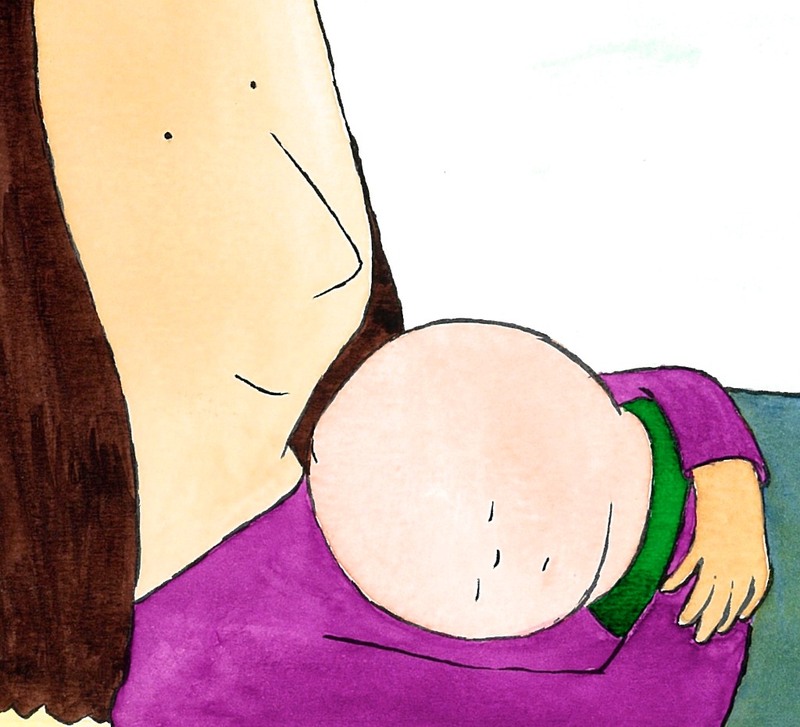 You can read more about our book, with its message of compassion for tired parents and overwhelmed babies, here. You’re Doing Great, Baby is about a mother and her baby, so we thought it would be nice to introduce you to them. Next we will introduce you to Mum!